A sponsorship programme supporting children to access education. SHAREAfrica UK and SHAREAfrica Zambia run a sponsorship programme supporting children who are orphaned or in need. The purpose is to help pay for school fees and other items such as shoes, uniforms, food supplements, and school books. The children are selected based on their circumstances and the household’s ability to pay for their education. Most children, when they join the programme, are not attending school so they are of different ages, ranging from primary to late teenage. Priority is given to orphaned children living with extended families. 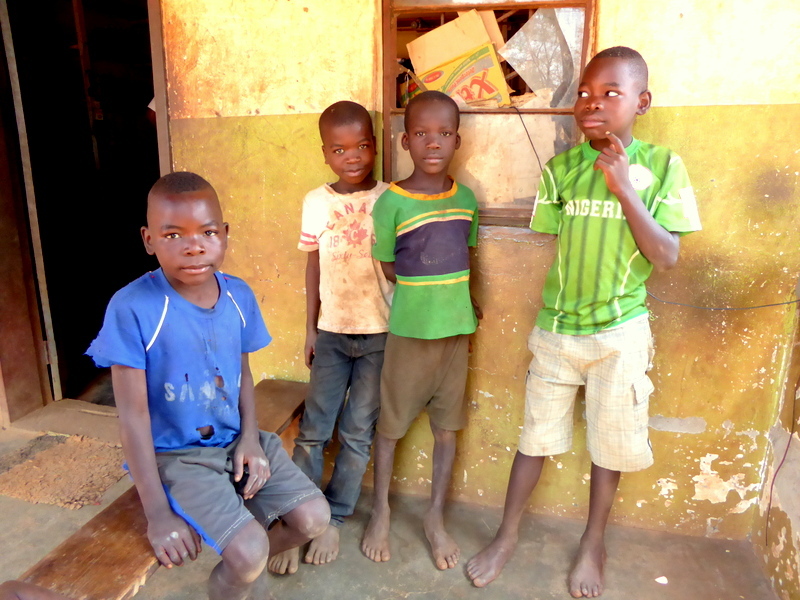 The extended families themselves may well be very poor, finding it difficult to adequately feed, clothe, and provide for the additional children. Donors can sponsor a child with regular payments which will support the child and the family so that the child can access a good education. The sponsor will receive regular reports on the progress and well being of the child and will also be able to exchange messages with them. 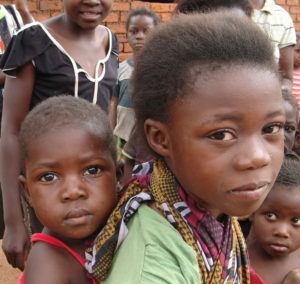 The programme in Zambia is administered by experienced staff who visit the children at least three times a year. The children are spread throughout the country, but we try and cluster them around villages and townships in the same area which makes visitation easier. An on-line system of record is maintained which allows sponsors secured access to information about the child they support; this includes pictures, school reports and visit reports. Yes, you can sponsor as many children as you wish. Just select another child from the system and repeat the process. Can I donate more than the specified amount? Yes, but the additional amount would go into a general fund for such things as medical treatment. We do not differentiate between children, especially since there may be more than one orphan being supported in the same family. Can I send a cheque once a year rather than pay a monthly amount? Yes, this is possible. Please contact the SHAREAfrica administrator for advice. Once I sponsor a child will I be able to access to the child’s records? Yes, you will be given a logon ID and password. You will have access to visit reports, messages, photo library, school reports and when school fees and other expenses are paid. Can I send money specifically for the child for birthdays etc? Once I sponsor a child will I be able to access to the child’s records. Can I send packages such as Christmas presents? Not recommended: We cannot guarantee that packages will reach the children on time due to the unreliability of the mail systems. Also, because the children are in various parts of the country it is impractical to make a special visit to hand over one parcel. Yes, you can add your photo to the child’s sponsor record. These can be printed and taken to the child. Can I write to the child? Yes, this can be done via a messaging facility. The in-country Administrator will print the message and deliver it to the child, or if it’s a message from the child the administrator will copy it and send it and post it to the file. You will be notified automatically when message is waiting. What happens when the child finishes school? You will be informed and given the option to sponsor another child. What happens when a child moves location and cannot be traced? We will do our best to locate the child; meantime the money will be put on hold. If the child can’t be found, then you will be informed and will be given the option of transferring the amount to another child. What happens if a child becomes pregnant? In most cases the child will be removed from the programme and you will be given the option to sponsor another child. What happens if a child is seriously ill? Depending on the situation SHAREAfrica may fund special medical care for the child. Each case will be assessed separately. What happens if a child fails to attend school? What happens if a child continually fails a grade? The reason will be investigated, and we will seek advice from the school. If it is a ‘lost cause’ then we will remove the child from the programme, but may look at other means of support. You will be informed and given the choice as to what you want to do. How is the health of the child monitored? 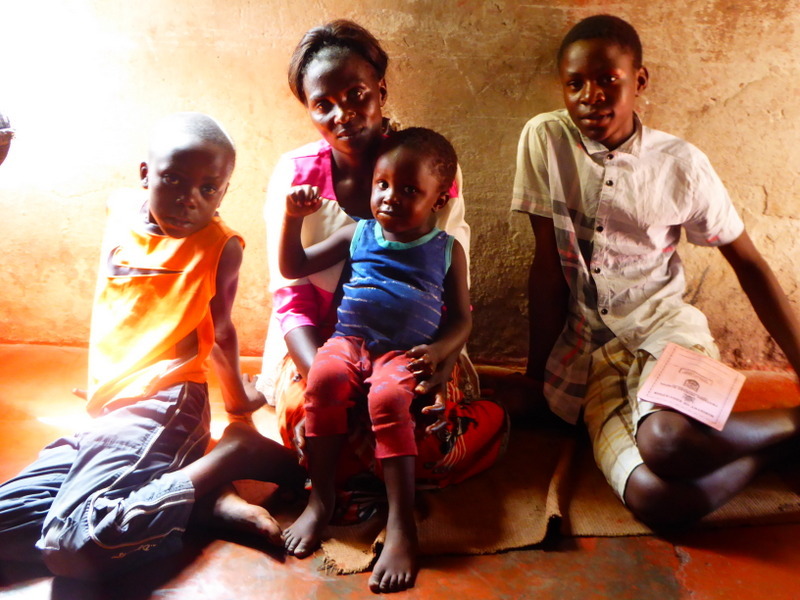 SHAREZambia do not have qualified people to accurately assess the children’s health, but general symptoms of malnutrition and HIV are easily spotted and can be reported to the local health clinic. How are the conditions of the guardian monitored? If there is anything noticeably wrong with the guardian, or if there are reports from others regarding the fitness of the guardian to care of the child, or if there are reports of abuse, then the matter will be referred to the local elders and social services. How is the money transferred? The money from SHAREAfrica is transferred monthly to the Orphan bank account in Zambia. The money is drawn from that account and used to pay school fees and other supplementary items such as uniforms and books. These are given at the beginning of each school term. A note is added to the child’s record when payments are made. How often is the child visited? At least three times a year. A child must have lost one or both parents and be in a position where they cannot afford to go to school. A note regarding the child’s circumstance and why they need support will be added to the child’s record prior to being registered. What constitutes a vulnerable child? If child is needs support because their parents are sick and therefore cannot afford to send them to school, then they may also be considered for sponsorship. More careful checks are made in such circumstances. What happens if I want to stop paying? You can either make this change yourself on the system or you can notify the administrator. If you make a change to the system, then the administrator will be notified automatically. The child, however, will continue to be supported by SHAREAfrica until another sponsor in found. What happens when school fees increase? If it becomes necessary to increase the payments we will notify you. If you cannot afford to increase the payment, then SHAREAfrica will subsidise the child. Will I get regular feedback? Yes, a message will be sent after each visit informing you that the child’s record has been updated; you can then log onto the system and view the information. Because of language difficulties, some notes from the children will be translated by the administrator and added to the messaging system. The child can also send a drawing or photograph; these will also be kept on the system. What donor (sponsor) information is held on record? All the information you supply such a contact details, messages, pictures etc. Payment card details are encrypted and passed to our payment provider – for example Paypal or SagePay. No bank or credit card details are held on our records. Yes, we would encourage you to do this, so your details are kept up to date. If there is any information we hold that you cannot view, then if you request a printout we will provide it. For most content yes. The system will also notify the administrators that your personal details have changed. You wont be able to change key fields such as your name. Can I be included on your mailing list? Yes, if you so request. Is your system compliant with the UK Data Protection Law? Will I know what happens to the child once they leave school and, can I remain in contact? At present the system does not hold details of the child once they leave school. However, if the child wishes to remain in touch then we can give you their contact details.